HomeFor ClientsAnalyticsForex Analysis & ForecastsForex Technical analysis and forecastsForex Technical Analysis 2011/01/31. EUR/USD, GBP/USD, USD/CAD, EUR/CHF Forecast FX. Forex Technical Analysis 2011/01/31. EUR/USD, GBP/USD, USD/CAD, EUR/CHF Forecast FX. The EUR/USD currency pair is testing the rising channel’s lower border. According to the eurusd forecast one can consider buying the pair at current prices with the target in the area of 1.3870. The test of the trend’s rising line at the RSI (which is a support line here) is one more signal to buy the pair. If the price breaks the channel downwards, one is recommended to close long positions. Pound keeps moving inside the rising pattern. The target of the growth is still the area of 1.6125. In this area we can see the formation of “upside down head & shoulders” online forex trading reversal pattern, which in this case is a pattern of continued trend. The target of the completed pattern will be the area of 1.6275. Judging by the gbp usd analysis one can consider buying the GBP/USD currency pair with the stop below 1.5840. Canadian dollar keeps being very unstable and we can see the formation of the “triangle” which may soon be broken downwards. 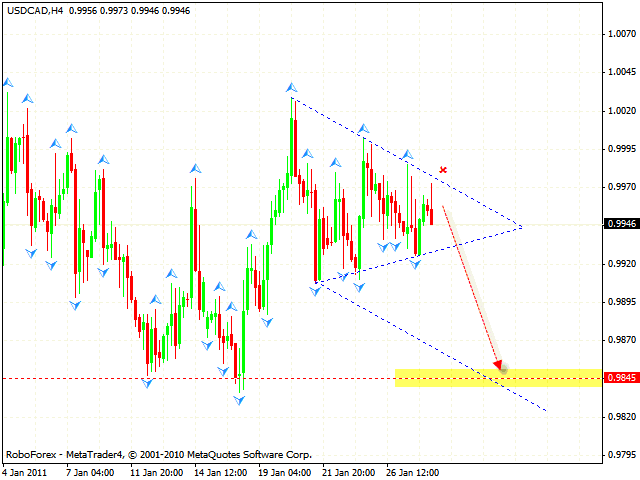 According to the usd cad analysis the target of the fall is the area of 0.9845. One can try to sell the pair with the stop above 0.9980. If the price breaks the pattern’s upper border, one is recommended to close short positions. 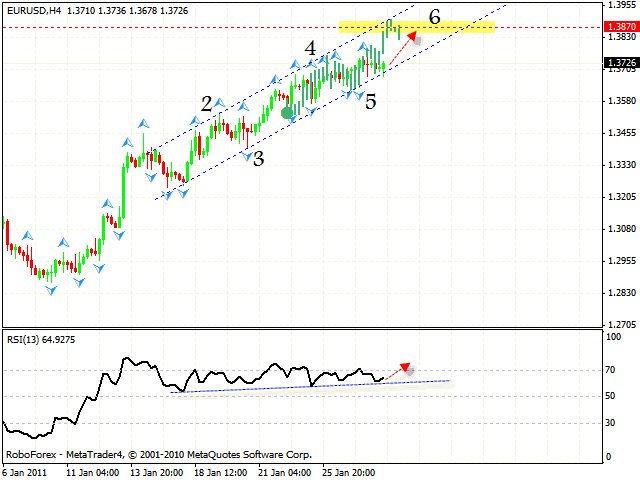 In case of EUR/CHF currency pair we have very good opportunities to sell it. 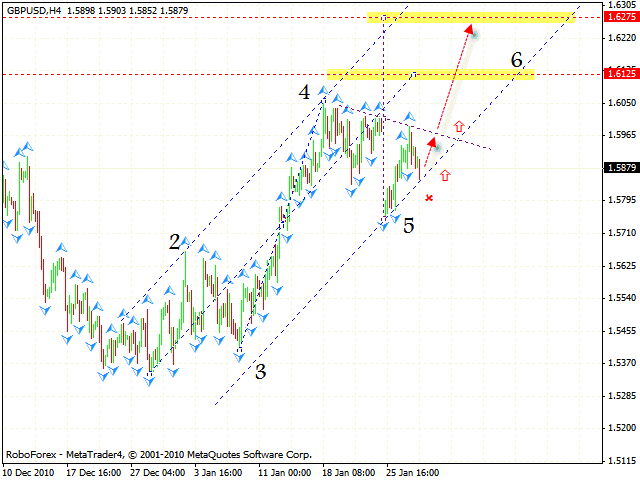 All the targets of the rising pattern in the area of 1.2982 have been reached. However, the channel hasn’t been broken yet, so it’s quite early to start selling the pair. 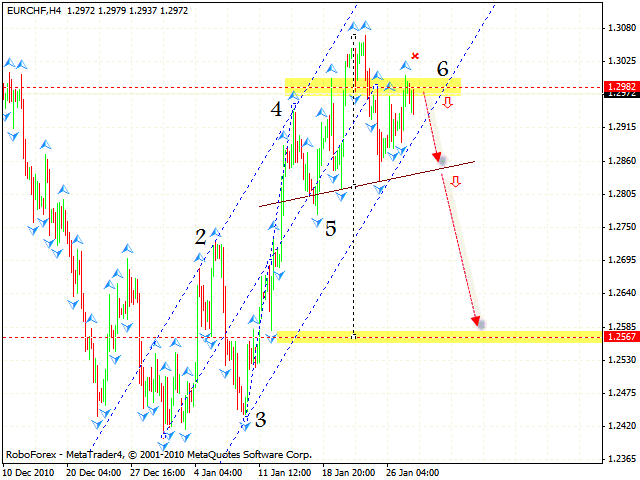 At the moment we have “head & shoulders” reversal pattern forming with the target in the area of 1.2567. Judging by the eur chf analysis one can try to open short positions with the tight stop above 1.3020 even now, but it’s not recommended to increase the amount of sales until the price breaks the neckline.